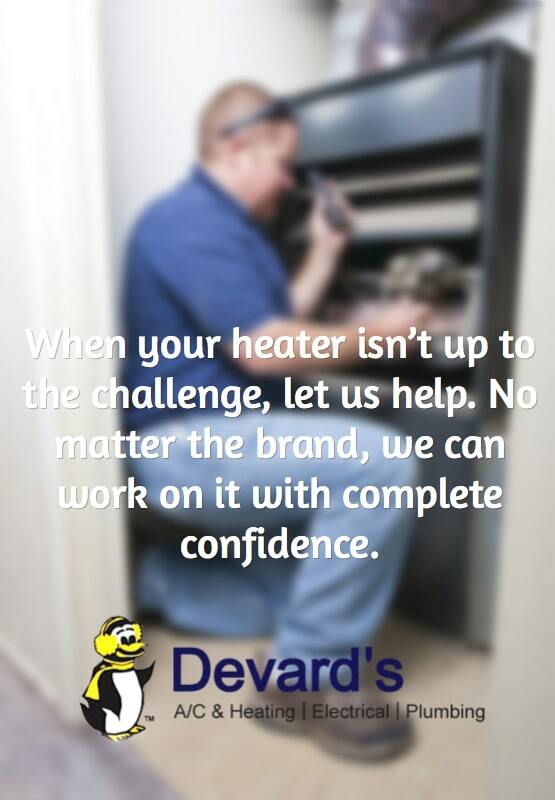 When you need heater repair Plano, TX residents like you can turn to when the bottom falls out of the temperatures and need furnace repair, you need Devard’s. Proudly in business since 1969 and with a 100 percent customer satisfaction policy, we’re probably already the company your neighbors and friends in the area are trusting, so why not trust us as well? People who aren’t very familiar with the Plano climate probably know how hot it gets here in the summer, but outsiders don’t always realize how cold the winters can be. Days below freezing and nights in the 20s aren’t uncommon, and it takes a good heating system operating at peak efficiency to maintain comfort in that kind of weather. When yours isn’t up to the challenge, let us help. No matter the brand, we can work on it with complete confidence. Emergency service is available 24 hours a day, even on holidays when necessary. We offer affordable and energy-efficient new heaters when yours can’t be repaired. We use only certified and experienced employees so the job is done right. We come to your home or business with the right tools and parts to complete the job in a single visit when possible. Another part of being a customer-focused company is our commitment to providing expert communication. That means we offer transparent, upfront pricing, but it means more than that. We also always have a supervisor available to help with your project and explain anything that isn’t clear. Devard’s get the permits necessary to make every job legal. Devard’s has the right licenses and permits to ensure everyone’s peace of mind. Devard’s accepts credit cards and arranges financing to help make every job affordable. Devard’s uses only genuine replacement parts when available for the best durability. If you’re ready for heater repair Plano residents and business owners just like you confidently depend on for keeping their heating equipment running right, please call us at (972) 422-1505 or fill out our convenient form. Contact us right away for quick service.